BoldBooks – the indie author platform – is still in Norwegian only, but will be launched in several language versions when the Norwegian version has been further developed. BoldBooks is a self-service solution for authors who don’t wish to use traditional publishers. 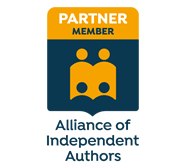 Our goal is to give authors larger ownership to their books, without using to much time and effort. By gathering all the joints in a book production this is possible, and you as an author can concentrate on the most important one – to write. Here you will find all the services you need to develop, produce, market and sell your own book. In other words – you control the whole process yourself, and the rights to the manuscript and profit from book sale belong to no other than you. We are here to support you – all the way. BoldBooks.no was launched May 12, 2017. Our site is under construction, so feel free to contact us with questions or comments. BoldBooks is supported by av Innovation Norge og The Norwegian Arts Council. BoldBooks is not a publisher. We own no books, and have no economical rights to the books. Authors that have developed and produced books by services from BoldBooks keep all the rights to their books. BoldBooks AS will modernize and digitize the book publishing process by selling complete services and tools to the authors. That way you can easliy publish your own book without going through intermediates like publishing houses. With BoldBooks the author get better control and is left with a greater portion of the book sales revenue than through a publisher. Self-published books will have predictable costs and higher quality than before. Through BoldBooks’ digital platform the authors will get their books marketed and sold. Our business model is to take a provision fee of all the books and services provided through boldbooks.no. We also sell marketing services and arrange courses and seminars for our customers. We are now seeking investors that can bring relevant competence and money, to develop the platform further. Contact kristin@boldbooks.no for more information.